Even from the Lady, whose cryptic words Mazzia had grown used to, that sounded too strange to be true. “The Stronghold will fall to the Stronghold?” asked Mazzia. He heard the rustle of wings once more behind him, and he stopped as she took to the air again. Even under the harsh glare of the sun, the Lady Fall shrouded herself in layer upon layer of thick black cloth; Mazzia could see only the glint of her eyes beneath the cloak. In that way, she was the exact opposite of her sister, the Lady Spring, who walked across Albumere unashamed of her nakedness. “That doesn’t answer my question,” said Mazzia, matter-of-factly, and the shadows shrank away. Light returned to the world, and the Lady Fall landed beside Mazzia. They walked on. “I taught you too well,” she said, once again folding her wings behind her. “You would ask for truth from the goddess of lies and secrets?” The Lady Fall tittered. Mazzia’s response was cut short when he heard singing from down the road. He craned his neck, peering around the sheer walls of rock around him to get a better look. A man, with a wizened, graying beard and the coonbat cap that marked him as a native of the high mountains, sang boisterously as he walked along the path. It was a wonder Mazzia hadn’t heard him earlier, although talking to a goddess had a way of distracting a man. He came around the bend, and winked at Mazzia. There was no one else with him—at least, no one Mazzia could see. Mazzia applauded, and the wayward traveler bowed. Mazzia just nodded, and smiled, as the man wandered away, whistling merrily as he walked unseeing through the Lady Fall. “I see it,” said the Lady Fall, after the man had walked away. “See what?” asked Mazzia, continuing up the pass. They were getting closer now, although Mazzia’s mouth grew dry at the thought of having to climb the steep slope ahead of him. He rolled his shoulders, and cracked his neck. No one ever said climbing the tallest mountain in the world would be easy. A bit of rock crumbled beneath Mazzia’s hand and he froze, arms tense, heart in his throat. He didn’t respond. There was a time for banter, and a time for concentration. “On top of Mont Don…,” Mazzia muttered, the words forgotten but the tune remembered. Mazzia climbed higher. Bright spots danced on his eyes in the harsh sunlight. Mazzia knew better than to answer. The Lady often spoke this way, in words that were half-soliloquy, half-poetry. There was no use in interrupting her. He hauled himself over the lip of the rock face, and sat on the ground, catching his breath. The Lady Fall watched from above, as always, her expression illegible beneath the shadows. Mazzia pursed his lips, then shook his head. 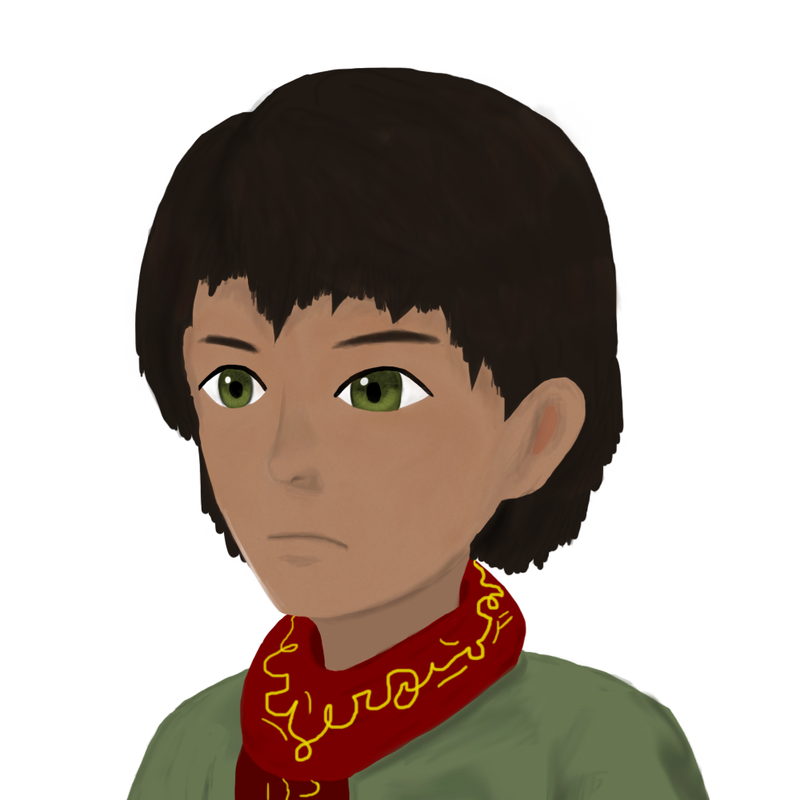 A chill passed over Mazzia, and he tightened his scarf around his neck. The Lady confided in him infrequently, but even then Mazzia wished she didn’t. It was like watching a man play at Wwa Ta, or any other dice game. The stakes were high, and though the gambler was so sure of his victory, no one could ever know for sure. Mazzia rose to his feet, groaning, stretching his arms behind his back. There was a fighter rising to prominence back home, by the name of Kennya, who could hop over walls and run across rooftops like other men trudged along the narrow streets, but Mazzia had not become his noni—his student—and had no intention to. That could be left to younger men. All the same, as Mazzia began to climb again, he wondered if maybe just one or two lessons would have been a good idea. The way was easier, now, though. Roots as thick as an elephantbull’s legs, grown into the side of the mountain, provided easy surfaces for Mazzia to hold onto, and his raw and bloody hands were glad of a reprieve from the harshness of the stone. He squinted up, but regretted it at once as the blinding white sun shone in his eyes. From what he had seen, glancing upward, there had been no trunk, no branches, no leaves. Wherever these roots led, it was deeper, inside the mountain. As always, the Lady Fall flew beside him, watching with those careful eyes. She was the patron goddess of travelers, and artists, and spies: the first Mazzia was, but the second and third he had never been. He was just a nomad of the plains, who had wished to see all the wonders Albumere had to offer. Mazzia had walked to far Jhidnu, and sailed as far out into the sea as the sailors had dared go. He had walked to Sivnag and Gurnag, and eaten summer boar with the Wilder Clans. He had gone to Albumere’s lowest point, the Teeth of the Abyss in steaming Moscoleon, and now he would go to Albumere’s highest, the summit of Mont Don. If ever anyone wrote a book about him, as the Lady Fall promised they would, it would be a long book indeed. “Do you remember going north?” asked the Lady Fall. The summit was not far now. Mazzia was nearly there. Mazzia grunted an affirmative. The fall beneath him was a terrible one. At last, the ground began to level out. Mazzia strained, and tumbled onto flat ground, the wind screaming and rushing around him. He laughed, pumping his fist into the air, staring at the blue sky above him. Though the air was bitingly cold and the wind doubly so, there was no snow here, only gravel and bare rock. And, of course, the roots, twisting and snaking their way through the ground. Mazzia blinked. What more was there to see? Staggering to his feet, wrapping his scarf even tighter around him so that it would not flap so violently in the wind, Mazzia walked forward. The Lady Fall was standing over a hole in the ground—the entrance, Mazzia realized, to some sort of cavern. He looked up at the Lady Fall, questioning, but when she said nothing. Mazzia knelt at the edge of the darkness. He could hear something breathing, down there. He not become the most traveled man on Albumere by ignoring that which made him curious. Mazzia swung over the side, and dropped into the pit. His hand grasped at the side of the cavern as he slid, down, into the darkness, using only that little circle of sunlight to penetrate the shadows and see what lay within. Suddenly, something sparked. Like lightning, an arc of blinding white energy burst from the shadows and for a second illuminated the entire cavern, in all its enormity. Mazzia sucked in a sharp breath. The silhouette of something monstrously huge slumbered beneath the mountain, its great head tucked away beneath wings so large that each individual feather was larger than Mazzia himself. The entire inside of the mountain must have been hollowed away just to fit this beast. “What is it?” breathed Mazzia, edging closer. Again, sparks flew from the monster, crackling violently though the beast slept still. “A misbegotten attempt from a bygone age,” said the Lady Fall. Mazzia stood before it, his breath catching in his throat. Never before had he seen, in the flesh, an animal so great and so huge. His fingers curled into fists. “Does it have a tabula?” he asked. Mazzia looked down, but could see nothing for the darkness and the bright spots dancing on his eyes. He backed away and knelt down, sweeping at the dirt and dust, but he could feel nothing. She walked away into the darkness, and lightning flashed again. Mazzia saw the shadows it threw against the wall, and rose, stumbling towards the largest hollow tree he had ever seen, its desiccated branches hanging limply, as if begging for water and sunlight. Mazzia’s footsteps echoed as he walked up to it, and with the sound amplified the way it was, Mazzia did not miss as he stepped on something that was not stone. He looked down, and through even the darkness saw a glint of amber. He bent down, to trace it with his hand. “Wait until I show them this,” Mazzia breathed, his eyes widening at just the thought. Mazzia stared at the Lady Fall, the metallic taste of blood in his throat, and his vision shifted. He looked at his own dying body while his gloved hand drifted over his broken tabula, and his bat-like wings stretched out behind him. He felt the whisper of a thousand dead souls beside him, felt a single will, her will, overpower them all. Then he was himself again, dying, watching the Lady Fall rise into the air. I don’t quite have a bonus chapter ready for today (well, I do, but I figure it’s better to let the backlog recover a little), but I did these a while back for practice and I figured I might as well share them. They clash so horribly with the story’s tone and style, I know. But they were very fun to draw, and the dissonance amuses me. Also, I know I’m not the best at actually giving my characters unique physical descriptions, so maybe this will help you see how I visualize them. If you had an image of Chaff and Jova that these illustrations completely shattered, whoops, sorry! Your interpretation is probably equally valid, because I am of the opinion that the nuances of a character’s physical appearance should be left to the reader and rarely matter (except when they…do). Might do more as I continue to practice, although the writing comes first, as always. Hope you enjoy them! Zur Gozrimaw’s iron mask sat heavily on his face, but he did not bow his head. Instead, he held his chin high, his back straight, his gaze unwavering. If the other members of the Grey Table could see his expression, it honestly would not have been too great a difference from the mask: it was steely, calm, collected. There was a time for burning coal, and a time for cooling waters. Such was the word of the First Smith. “A dull knife is useless, Arron, for it has no point,” growled Thun. Zur narrowed his eyes, although the rest of his body did not move. Thun had spent too much time outside the tower, fraternizing with the baymen, breathing their rusting sea air. That was no way to talk to a revered forgestoker. Zur smirked. Arron’s knowledge of the tower’s history was near encyclopedic; it was rumored that he never forgot a word of what he read, and would spend hours staring at the ceiling, flipping through the annals of the First Smith without ever so much as touching a page. Those rumors were true, of course, but for a different person. A small blade cut as deep as a large one, so long as it was hidden. Such was the word of the First Smith. Even if Arron didn’t have Zur’s prodigious memory, the forgestoker had a respectable one nonetheless. And if he ever needed help, Zur would provide it, although he did not like to speak at these council meetings. Better for the Grey Table to forget that he was even there. Jak sat up, evidently about to protest, but Arron raised a hand. For good measure, Zur looked Jak’s way, and though neither could see the other’s face beneath their masks, Jak slumped visibly. Zur moved quickly. He pushed his seat out as he stood, heel twisting against the floor before he launched himself over the table and vaulted towards Thun. His arm wrapped around Thun’s neck, and he brought the man low, locking him in a chokehold as strong as steel. “Take him away,” said Arron, dismissively. Thun stalked away, his footsteps echoing throughout the chamber as Zur quietly resumed his seat. The other members of the Grey Table rose and shuffled away, whispering amongst each other in low voices. Zur did not participate. Gossip was rust upon the honed speech of honorable men. Such was the word of the First Smith. Arron beckoned him over as he rose. The two of them walked together, to the opposite side of the chamber. These stairs led up. The others led down. Zur admired the staircase as he walked. It twisted clockwise as it went up, so that if any invader happened to come, they would find their right hands impaired, while defenders coming down from the top would have the longer swing. It was a small, clever thing. The Irontower was full of small, clever things. They walked, Arron jingling with every step, Zur silent. He had yet to take off his iron mask. It was almost more comforting, to have his face obscured by the grim metal visage. “Do you believe him?” asked Arron, as they climbed. Zur did not say anything. Lives were petty things, compared to the secrets of the tower. Such was the last word of the First Smith. “Where are they?” Zur’s hand drifted to his belt, where he kept his knives. It was always better, to know where one’s enemies were. “I concur,” said Zur, flatly. Arron’s step faltered. He stood before an open window, staring out the Irontower from their lefty perch, so high above the rest of the valley. Chill winter air blew here, so frigid that Zur felt his mask might freeze to his face. Impressive as the metal sheeting of the tower might have been, it didn’t help much with insulation. “Do you think the doorkeeper was right, to allow the child entrance?” asked Arron, staring at the window, seemingly unfazed by the chill even though his chest was bare. They said that the fires of the furnaces burned forever in the hearts of forgestokers. They, of course, were the voices of the dead, still whispering to Zur through the annals of the past. “He has cause undue trouble for us. Made us brittle, when we should be strong,” said Zur, standing by the window, gazing out at the valley as well. It was dry and barren, but it was theirs. Beyond the mountain pass, the rest of Albumere laid. Zur’s hand tightened around the hilt of his knife. Soon, that would be theirs, too. “Was that a statement, or a request?” Zur did not leave the window. Through his mask, which was so cold it felt like it had melded to his face, so cold that the mask really was his face, he saw the rest of Albumere, beyond the tower. He had memorized every book in the Irontower’s prodigious library. He had counted every stone in it, every step leading from the bottom to the top. He had embraced the teachings of the First Smith, then rejected them, then rediscovered them. The tower had been his whole life. He wanted what laid beyond it, so badly. Zur did not move from the window, bathed in harsh winter sunlight. Arron stood in the shadows above him, and though Zur wore the mask, it was the forgestoker’s face which could not be seen for the darkness. “Will the east stand with us?” asked Zur. “Then here is where we part ways, Zur Gozrimaw,” said Arron, his hand resting lightly on Zur’s chin. Zur’s skin tingled at his touch. Was it the heat of the forgestoker’s hand, compared to the cold of the smithsworn’s face? Was it simply the fact that his face had not felt a human touch for a time longer than even Zur could remember? Something else entirely? Zur looked up, eyes shining. It was finally happening. Everything he had dreamed of, come to fruition. They turned away at the same time, Arron higher into the tower, Zur deeper. It was a long way down from where he stood, but Zur moved quickly. His robes flapped around his feet as he strapped his mask back on. He would need more practical clothing, soon. Silent clothing. He walked through the council chambers, now deserted. From there, he walked down the spiral staircase, past the masters’ forges, where he could hear the forever ring of hammer on anvil, see the forever glow of the red fires. He walked past the library levels, where all the stored knowledge of the Irontower was kept. This was not Shira Hay, where the nomads stored any semi-legible tripe they could find in a library open to all: not Shira Hay, where they wandered the world and let ignorance poison their minds. The towermen knew the power of secrets. Only the most dedicated among them were allowed access to the libraries. Zur Gozrimaw walked on, deeper and deeper, closer and closer to the ground, his heart thudding in his chest. He passed the journeyman’s quarters, and the women’s chambers, and the cheap iron forges, and the place for apprentices, which had no name and deserved none. Zur reached the bottom, and straightened himself. He entered the doorkeeper’s room. The towermen were not allowed worldly possessions. Their work belonged to the Irontower, and for it, they were given food and clothing and shelter. The coin their metalcraft earned went to the good of all. Tools were given according to rank and seniority. Zur’s hand drifted to his knives. Those counted as tools. The doorkeeper kept the supplies. Any man who wished to leave the Irontower had to go through him first. Zur paused. “Where is the doorkeeper?” he asked, to the girl sitting on his bed. The Irontower had no guest chambers; he supposed this was where she stayed, while she stayed. Her legs swung restlessly from where she sat, although her hands were folded neatly on her lap. She scratched her chest, and cocked her head, not looking at Zur. There wouldn’t have been much of a point. Zur looked around, but he saw no sign of the doorkeeper within the room. Was someone else demanding entrance to the Irontower? How many more strangers sought to steal their secrets? “Where is the doorkeeper?” Zur asked, again. “Yes,” said Zur, curtly. He did not like talking to this girl. For some reason, it felt like his mask did not protect him here. “I could,” said Zur. He squinted. There was a resemblance. He had only caught a brief glimpse of the other two—the woman had been yelling as the girl walked into the tower, causing such a ruckus that all the apprentices had come swarming to see—but he could see it, nonetheless. Was the girl really their ­natural-born daughter? There was no precedent for this, as far back as Zur could remember, in all the books that he had read. There was a shuffling from behind him, and he turned to see the doorkeeper stride into the room. His features were…average. As much as Zur prided himself on stealth, he could never have matched the doorkeeper’s innate ability to appear completely, utterly forgettable. His hair was cut short in the style of the apprentices, his robes were clean and nondescript, and he had the air of someone who would keep on plodding on no matter what one said or did to him. Even as the doorkeeper turned away, Zur found himself forgetting what his face looked like. “Going somewhere?” the doorkeeper asked, mildly. The cut in Uten’s side had grown infected. The molebison’s flesh was hot to the touch, and Jova could hear the carrion flies buzzing around her. Da said the blood was black and lumpy. “Come on, girl,” whispered Jova, trying to pull the molebison forward, but Uten would neither move nor answer. Fighting back tears, Jova slapped the molebison’s sensitive nose, a move that, on any other day, would have earned a panicked grunt or push. Uten just slumped further, breathing heavily. Jova felt a hand on her back, and jumped. It would be a long time before she stopped doing that. Hot tears began to spill across Jova’s cheeks, and she bit her lip in shame. She thought she’d done enough crying, lately. Jova tried to think of a reason to stop her, a way to save her last reminder of Roan, but in her heart she knew Ma was right. “I’ll do it quickly. Painlessly. I promise, my little Lady.” Ma knelt down to hug Jova close, although Jova did not return it. She just nodded, and turned away, and tried not to listen as Ma let go and walked to Uten’s side. The molebison shuddered once, and then her labored breathing stopped. The tabula in Jova’s hand split, and cracked, and Jova shuddered as she felt a great chill run through her body that had nothing to do with the cold. It seized her, suddenly. Jova heard the wind howling around her ears, and clutched her chest as her heart began to burn with a searing pain. The ground shook beneath her, and a woman so tall she blocked out the sun stood above her. Where her face should have been, there was only a slab of marble, cold and impassive. The vision passed. Uten was dead. Their link had been broken. Jova bowed her head, giving a silent prayer to the Lady Winter that she would take care of Uten. The pontiffs didn’t have much to say about the souls of animals, but Jova had known enough of the beast to know she had one. She rubbed the wooden badge in her hands as Ma walked her back to camp. Uten was not the last reminder Jova had of Roan. “It still doesn’t make sense,” muttered Jova, as she sat on the coarse, short grass of the Hang Mountains. Irontower was not far: technically, they were already within the nation’s holdings, although Da had always described Irontower as more of a cult than a nation. Jova pulled her knees up to her chest. It was strange, how quickly she had become accustomed to traveling on the road again. Just the three of them, and Mo, sleeping on the worn bedrolls as they traveled along the side roads. The only difference was that they were going north, instead of south. “He told us about his plan,” said Ma, picking up the story. “Said we’d wait until you were sold. Said he’d sneak you out on the road once you were past the walls. If only we’d known what they were doing to you.” There was a dark anger in Ma’s voice as she held Jova’s still healing hands, an anger that Jova now recognized. She truly was Anjan’s daughter. She’d heard it all before. Roan had wanted Jova to have protection when she escaped. It was why he had been so angry when Bechde had left without her. But Roan hadn’t been willing to be the protection Jova needed. And now, he never would be. What was it Chetan had said? Everybody had a story. While Jova had been sneaking around, trying to accomplish something, plans had been in motion around her. People had been taking action. She might never fully understand what Roan had—or hadn’t—been doing to secure her freedom. How long had Roan been working towards Jova’s freedom? The whole time? Since the desert? After Hak Mat Do? Why the ruse? He had always wanted to return to the Hag Gar Gan, but he must have been too kind a man to abandon Jova. And that kindness had killed him. “Are we still going to Irontower?” asked Jova. “Oh, it’s been long enough. No one will remember a runaway from the black caste,” said Da. His tone betrayed his fear, though. He had to have at least killed his master unawares to take his tabula back. Jova could not imagine they would forget so easily. “I’m tired, Ma,” said Jova, and she rolled on her side, curling her body so that her back faced her parents. Ma didn’t say anything else, and Jova felt a pit open in her gut. She shouldn’t have said that. The Ladies had given her a miracle! Her parents had come back for her! She was with her family again, free and safe and happy. Except, Jova was beginning to doubt that she was any of those three things. They had been moving fast. Ma had done her best to cover their trail, but there was no way they could outrun a clan of Hag Gar Gan riders. If, as they hoped, they chose not to pursue, then all the better, but it never hurt to be cautious. And then, of course, there was the matter of the towerman. He was heading the same direction, no doubt. Perhaps he would stay in Jhidnu long enough to voice his complaints, perhaps he would simply head straight for Irontower. His smithsworn warrior was no longer with him—Jova had seen to that—but that didn’t mean Thun Doshrigaw was alone. The Hag Gar Gan could still be with him, and if they weren’t, there were always more mercenaries to be found in the city. Thun Doshrigaw. It was too strange a name to forget. His name Jova remembered, but his voice she couldn’t. She had heard it too few times for it to stick. As she laid there, Jova made up her mind. At Irontower, she would wait for Thun Doshrigaw. She could imagine the conversation in her head. You’re not the first man whose skull I’ve crushed. Your man wasn’t either. Nothing pops, you know. The blood leaks out of your eyes first. Then the rest of the skull just cracks and crumbles, and whatever’s inside just dribbles away. Jova shuddered. The imagined dialogue both thrilled and horrified her, and she was horrified that she was thrilled. She curled up tighter. The air grew colder the further north they went. It also grew colder the higher they walked, through the mountain pass that led to Irontower, and it also grew colder the more the winter dragged on. There’d be snows, soon: the first snows Jova had ever seen. Odd, how it could snow so heavily in the Irontower when never a flake so much as touched its neighbor Jhidnu. Another one of the strange ways the Ladies had cobbled Albumere together, she supposed. Can’t expect more from a half world, a voice seemed to whisper in her ear, and Jova twitched, although her limbs seemed suddenly heavy and her body weary. Her ears couldn’t hear anything; it was just her thoughts, echoing inside her own head. Can’t expect more from a place that’s at war with itself. And then another voice spoke, in a breathless moan. You didn’t bury me. Was that Uten? Or was that Roan? Perhaps the ghosts of Ya Gol Gi and Copo had come to haunt her, too. You let my essence spill free. Now they’ve taken my life from me. Jova almost opened her mouth to protest, but it felt like her teeth were glued shut. She could hear them, moving in dizzying circles around her, about her, inside her. They were not louder, for how could they be louder? They were as loud as silence. But they grew more angry and demanding. Why didn’t you bury me? Ladies have wings, not roots. Can’t go under. You were there. Under the street. Deep, dark, dank places. Bad place for the living. Good place for the dead. Who cares about the seasons down there? Why didn’t you bury me? Jova, Jova, Jova. Why didn’t you bury me? JOVA. JOVA. Jova sat up, massaging her temple, and clasped tight the wooden badge in her fingers. It was such a small thing, smooth but for the lines etched in its surface. She tried to make sense of the carving by touch alone, but it was too hard to tell. She trudged the few steps she needed to sit by the fire, and squatted down as Da passed her a bowl. She took it, letting the steam waft into her face. It dampened her blindfold, but her blindfold had been plenty damp for quite some time. There was a joy to it though, to hot food and Mo rubbing himself on her knees and Ma and Da sitting beside her. “Thanks,” she muttered, quietly, so quietly she wasn’t sure if her parents could hear her. “There’s no need for that,” said Ma, kissing Jova on the forehead. Jova didn’t quite smile, but she drank. It was thin, the flavor weak, but it tasted better than anything Jova had eaten in days. Food in her gut, rather than shame and anger, was a nice change. “What’s on this badge?” she asked, holding it out. Da’s calloused hand took it first. He put it back in Jova’s palm, and she held it tightly. Had Roan mentioned the symbol before? She couldn’t remember. It had to do with the Dream Walkers, she was sure of it, although she imagined their insignia to be…different, somehow. Why a wooden badge? Of the Dream Walkers she knew, one had been a merchant, the other a pontiff, and the last an ambassador. She had somehow imagined them with golden chains on their neck, silver rings on their fingers, and ivory bands on their wrists. A wooden badge so small that it hid when she closed her fist seemed underwhelming. She felt hands on the back of her head, but before she could act she realized it was just Da, braiding her hair. “You ate quickly,” she said, bowing her head as Da untangled her hair, which by now had grown long and wild. “It was excellent cooking!” Da declared, and Jova heard Ma snort into her bowl beside her. Jova drank slowly, enjoying the warmth as she felt it trickle down her throat, into her gut, through her body. The fire teased her with its heat, dancing closer, then farther, with the capricious wind. “The marble braid, Da?” she asked. For the first time in her life, when Da said that, it scared her. She didn’t want to be surrounded by warriors like her. “Me too,” said Jova. It was all she could think to say, but it was also everything she needed to say. They spent the rest of the night there, huddled together, until Jova dozed off again. Ma must have carried her off to her bedroll, where Jova dreamed once again. This time it was of wooden clouds passing over the hooded eye of the Lady Fall, and a wooden man pointing at the orange glow of the sun on the horizon, although she could not tell if it was rising or setting. Then she woke, and it was time to go. Jova’s mind wandered as she walked; she didn’t have to pay too much attention to where she walked, with Ma holding her hand the entire way. At the Irontower, tell them: let the dead rest. Those were Roan’s instructions. Yet, how was she to let the dead rest, if they were the ones seeking her? “I’ll be fine, Ma,” said Jova, holding her arms out to keep her balance. They were walking uphill, toward a pass that lead to the Irontower valley, and the skeletons of shrubs clawed at her ankles and legs as she walked through them. The rocks wobbled when she stepped on them, but for the most part did not budge. “I understand your knowing Moscoleon back to front, but how in the name of the summer-burnt wastes do you know so much about this place?” shouted Ma, as she led Jova around a square boulder, its edge keen and cold under the winter sun. “I’m fine, Ma,” she said, and stepped forward. Deep, dark, dank places. Why didn’t you bury me? Jova flinched, thinking about caves. 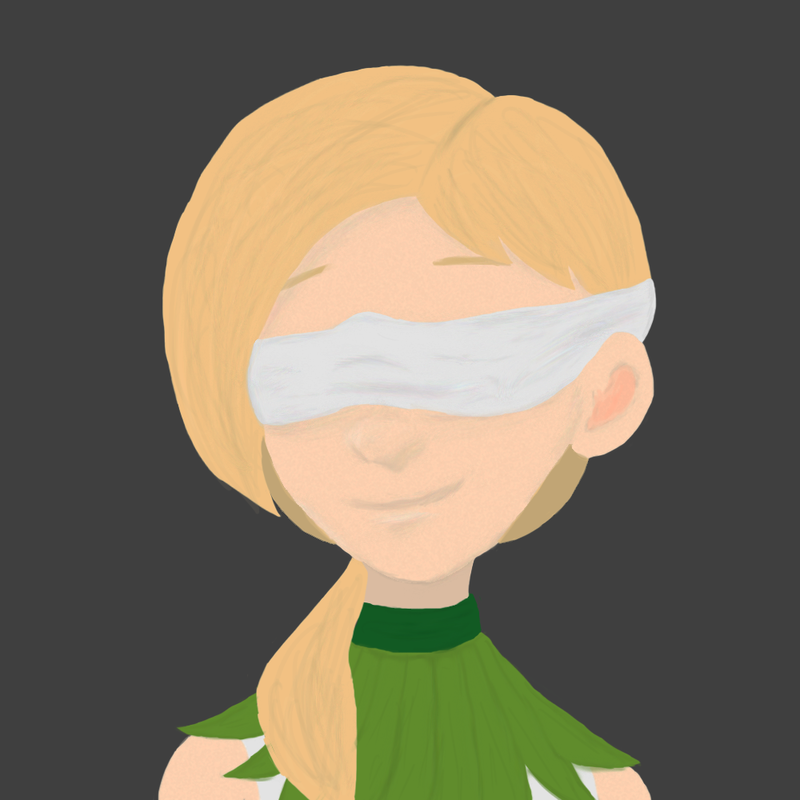 She had nothing to fear from them, she knew: after all, what did a blind girl care if a place had no light? But her hands still throbbed, and she could still feel the fire of the torch, so close to her skin it felt like she was burning. There had been good caves, too, she reminded herself. Roan had trained her in the Teeth of the Abyss, those limestone tunnels near Temple Moscoleon. But Roan was gone now, and Moscoleon was barred from her. It was painful to think about it. He was not all gone. He had one last instruction for her. At the Irontower, tell them: let the dead rest. The ground evened out beneath them. Jova found herself walking a smooth, dirt path, which was a good deal easier on her bare feet than the pass from before. The valley around her felt oddly empty; Jova could hear the low moan of the wind, felt the dust around her ankles. She supposed the harvests had already been brought in for the winter. “They must all be inside,” said Anjan, squeezing Jova’s hand. Irontower did not take kindly to strangers, Jova knew, but they had little other choice. It was either stop in the valley and trade for supplies, or let Jova walk through the Hang Mountains barefoot, in her ragged slave clothing, with nothing but a wood badge and a broken collar in her hands. “Tell me what it looks like,” said Jova, as they drew closer. She could feel its shadow on her now. If she clicked her tongue, it was there: a solid mass, huge and imposing, in the center of an otherwise empty void. “Is the whole city inside it?” asked Jova. Jova clicked her tongue, and she heard it. The ring of the metal, soft and pure, responded to her. She walked forward, all the way forward, until she could put out her hand, and touch the Irontower. The metal sheeting on its side was frigid and cold. The girl felt the door handle, laid her palm flat against the entrance to the Irontower. She closed her hand into a fist. Then she knocked. Four times. Jova felt Ma’s hands around her waist, pulling her away, just as the door began to creak open. Before Ma could say anything, before even the towerman on the other side could speak, Jova raised the wooden badge. “Let the dead rest,” she said. There was silence. Ma had stopped moving, although she still held Jova tightly. Jova could hear the echoing inside the tower, the dim sounds of hammers on anvils and steel being drawn somewhere far above her. Then, the man who had opened the door said four simple words.